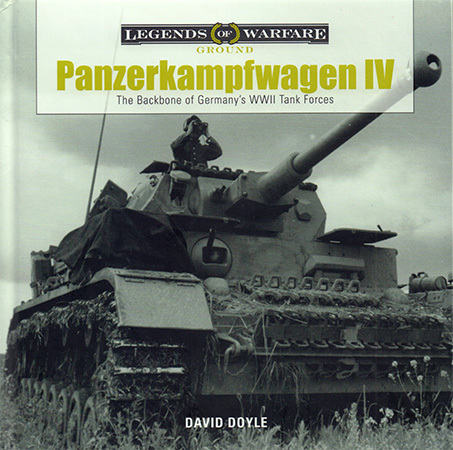 While most folks will think of the Panther and Tiger tanks as the key armored weapons of the Second World War, it was the Panzerkampfwagen IV that truly served in that role. Developed alongside the Panzer III, the Panzer IV was originally intended to be an infantry support weapon to deal with fortifications and anti-tank gun emplacements while the Panzer III was intended to combat other armored vehicles. When the Soviet T-34 entered the battlefield, it was soon realized that the Panzer III was out-gunned and did not have the growth potential while the Panzer IV had the larger chassis and turret ring which facilitated up-gunning that platform to counter the T-34. The Panzer IV was significant as it was the only German tank to remain in production throughout the war and was produced in the greatest numbers. In addition, the chassis of the Panzer IV would also serve as the foundation for a variety of other combat vehicles including the StuG IV, Jagdpanzer IV, Brumbaer, and Wirbelwind. Each chapter has a data table outlining the key statistics of each variant along with a summary of each variant. From there, the author follows his effective 'one picture is worth a thousand words' approach, providing significant period black and white photography which highlights the details and differences in each vehicle. In addition, these most of these photos are taken out in the field so you see each variant along with its crews in many of the theaters of operations. To supplement this title, there are several museum examples that are photographed in color which add additional useful information and visual perspectives of each subject. Whether you're a historian or armor modeler (or both), this title provides a concise history as well as excellent detail reference for each production version of this tank. You will enjoy pouring over the photos as I don't believe many have been widely published and come from a variety of archival resources. This title is definitely recommended! Note: This title is currently on sale at various online book sellers! My sincere thanks to David Doyle Books for this review copy!